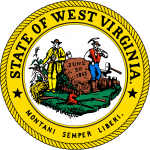 The West Virginia living will is a legal document that will state clearly, the information that the person (testator) would like to convey to their physicians so that the physicians will know how to act with regard to their end of life choices for treatment. 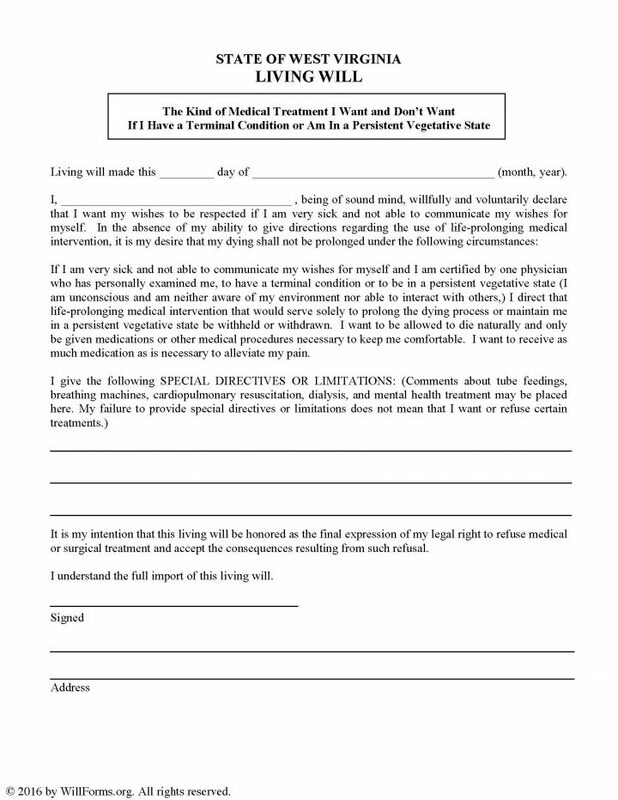 The document is a very brief and direct document containing the information needed in the event the testator is no longer able to communicate their wishes. This document will require the signatures of two (2) unrelated witnesses, who in turn, must be witnessed by a notary public. The testator, as long as they are of sound mind, may revoke this document at any time. Once notarized, make copies for all signatories and any other interested parties that the testator would like to provide copies.